WE ARE NO LONGER ACCEPTING NEW CLIENTS IN THE ATYPICAL FEMUR FRACTURE LITIGATION. 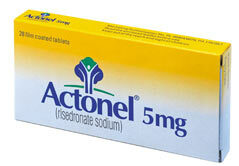 Actonel is a bisphosphonate. It is in the same drug class as other widely prescribed osteoporosis medications - Boniva and Fosamax. These drugs are being prescribed to osteoporosis, osteopenia, in additon to hormone replacement therapy. Recent data has shown that these drugs are being routinely prescribed to over 36 million women. Because women are using these drugs at an increasingly younger age and for longer durations, they are more susceptible to developing femur fractures and other adverse health effects. Doyle Law Firm's Actonel femur fracture lawyers are now actively evaluating cases and filing femur fracture claims for patients who took a bisphosphonate osteoporosis medication, such as Actonel®, and suffered a femur fracture or bone fracture after taking the medication for more than three (3) years. Actonel was manufactured, distributed and marketed by Warner Chilcott, Inc.
We are not accepting any jaw bone decay claims (ONJ). Actonel has been associated with suppression of bone turnover (fracture healing complications and atypical femoral fractures). Studies have shown that Actonel can results in significant suppression of bone remodeling. The long-term consequences of suppression of bone remodeling observed with Actonel may contribute to adverse outcomes such atypical femoral fractures and delayed fracture healing. The number of Actonel-related atypical femur fractures continues to grow. Atypical femoral fractures are subtrochanteric or proximal diaphyseal fractures that occur with little to no trauma and may be bilateral (in both legs). Specific radiographic findings, including a simple transverse or oblique fracture with beaking of the cortex and diffuse cortical thickening of the proximal femoral shaft, characterize these events. The femur is the strongest bone in your body and suffering a fracture is not an ordinary event. It usually involves significant trauma from a direct impact (such as a car accident or fall from great heights), but almost never occurs during everyday activities. When a low-energy femur fracture does occur during ordinary, everyday activities, it is highly unusual. It should raise a serious red flag if this has happened to you. Unfortunately, in the case of osteoporosis medications such as Actonel, Boniva, and Fosomax the drug companies knew of this potential adverse side effect for years, yet failed to adequately warn its customers (and their doctors) while they actively promoted these drugs in order to reap enormous profits - in the BILLIONS. Once a femur fracture occurs, surgery must be performed and a metal rod is typically inserted into the femur itself. Undergoing a surgery to repair a broken femur can be challenging and the necessary rehabilitation afterwards can be exhausting. For most patients suffering femur fracture, the event is life-altering. There is often a need for long-term care afterwards, which is very costly even if health insurance pays a portion. It's a cost that should be borne by the responsible parties - the manufacturers of these defectively-designed pharmaceuticals. We're now actively pursuing a a monetary recovery for all of our clients. In the Feb. 23, 2011, edition of the Journal of the American Medical Association (JAMA) a study was published concluding that bisphosphonate use (Actonel, Boniva, Fosamax) nearly TRIPLES the risk of drug-related femur fractures in patients who have taken the drug for more than five (5) years. On Oct. 13, 2010, the Food and Drug Administration (FDA) revised the warning label for Actonel and other bisphosphonates warning of the "risk of atypical fractures of the thigh, known as subtrochanteric and diaphyseal femur fractures, in patients who take bisphosphonates for osteoporosis." Atypical subtrochanteric femur fractures ( fractures in the bone below the hip joint) and diaphyseal femur fractures (fractures in the long part of the thigh bone) are rare but have been predominantly linked to patients taking bisphosphonates. Earlier, in a study released in the March 20, 2010 issue of the New England Journal of Medicine found that women who took Fosamax for long periods of time suffered an unusually high rate of femur fractures. The fractures had a signature horizontal pattern, and all occurred as a result of falls from standing height or less. The study, conducted by the Hospital for Special Surgery at Weill Cornell Medical College in New York City, included 15 women who took Fosomax for more than five (5) years before suffering a femur fracture. Two-thirds of the women studied had taken Fosamax for seven (7) years or longer. The authors concluded that Fosamax and femur fractures are statistically correlated. Again, because Actonel falls within the same subclass, the drug is squarely implicated by this study. The study’s authors also concluded that Fosamax [& Actonel] slows down the development of strong new collagen or causes microdamage in the bone, making its users more prone to fracture. This finding is important - it is now established that bisphosphonates cause bone fractures. In particular, bisphosphonates cause femur fractures. In January 2010, prior to the publication of the first study, the FDA issued its first alert to physicians regarding the possibility of severe bone pain related to bisphosphonate therapy. As these drugs continue to be studied, the connection between osteoporosis medication and atypical femur fractures continues to grow in number. And, the duration of use associated with these injuries contintues to shrink. Should I File An Actonel Lawsuit? This is a decision that should be made by you right away if you've suffered a femur fracture. There is no benefit to procrastinating. 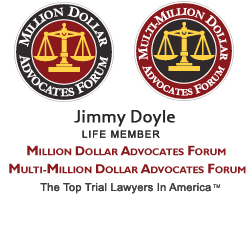 States have varying statutes of limitation that will time-bar claims (and a monetary recovery) once it is allowed to lapse. The Femur Fracture Attorneys at Doyle Law are accepting Actonel-induced femur fracture injury cases in all 50 states - NATIONWIDE. 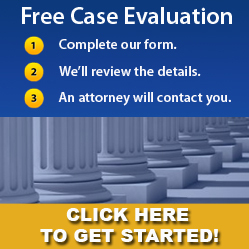 If you or somebody you know has been injured by Actonel, you should contact us immediately for a free case consultation. Please use our contact form or call us toll free at (888) 633-5204 to have your case evaluated by an Actonel Femur Fracture Lawyer or to discuss your potential claims. The Actonel Femur Fracture Lawyers at the Doyle Law Firm, PC have a proven track record of success in helping our clients obtain compensation for injuries resulting from the use of dangerous medications like Actonel, Boniva, and Fosamax. Our experienced team of legal professionals and Actonel Femur Fracture Attorneys have been helping dangerous drug injury victims for years. We are dedicated to seeking real justice for our clients and we work diligently to achieve the best possible monetary result in each case. Filing an Actonel Femur Fracture Lawsuit can help patients and their families recover the financial monetary compensation necessary to pay for expensive treatment and long-term care. If you or a loved one suffered an atypical femur fracture after long-term Actonel use (or combination use), you may have a defective product claim against Warner Chilcott, Inc. and others. Call us for a free consultation. Our toll-free number is (888) 633-5204. We are accepting new claims from clients in all 50 states - nationwide. Do not wait another day and risk losing your claim. Let us know if we can help you too. Actonel, Fosamax & Boniva - medication prescribed to treat osteoporosis osteopenia and hormone replacement therapy - are linked to femur fractures after as little as 3 years of use. If you took any of these medications (or a combination over time) and suffered a femur fracture, call us or fill out our online form today. A growing number of metal-on-metal artificial hip implants are being recalled due to early failures and some patients suffering from metallosis - metal debris released from the hip compontents inflame the surrounding tissue and enter the bloodstream, causing elevated levels of cobalt and chromium. We're now accepting clients with claims aginst DePuy, Stryker, Wright, and Zimmer. If you have (or had) one of these devices, we can help to protect your legal rights. To contact us, call or fill out our online form today.